Wilson: We’re working on a new version of Battle.net, and there is a major revision in how it works. The goal is to simply provide the best online experience that you can find in any game. If you’re playing a Blizzard game, we want you to be part of the Blizzard community. We want people to find their friends quickly, to communicate with them, and to play together. Ladders and Rankings, secured against cheating. As an example, we just found out that Diablo III players will possibly deal with all their trading directly by whispers in the new network. With this in mind, we can expect many simple and useful features directly in the system. Just like in WoW, Achievements will be added to Diablo III and StarCraft II. Achievements such as “Win 100 StarCraft II games”, or “Level your character to 100” are the new way of playing online and will be recorded on Account basis. Blizzard have explained that all games’ Achievements will give a score that stacks to give you a “Blizzard level”. Whether these features will be available only for new games, or all Blizzard’s Battle.net games is unknown but it seems likely they will only be available in new releases. A preview of this system can be found in World of WarCraft, where testing is now commencing in the Wrath of the Lich King Beta. Besides being entertaining, the purpose is also to bring people in to the multiplayer game, as the Achievements will only be available online where they can be checked against cheating. It should be more fun online, even solo. Trading and co-op is just a bonus, and Jay Wilson has even said that Diablo III won’t even contain any other networking functionality besides Battle.net. Especially mentioned for StarCraft II, but also a very likely feature in other games is VoIP (Voice over IP) or “Voice Chat”. The technology is already implemented in WoW, and has been promised as an example of what will come with Battle.net. It probably won’t replace Ventrilo/TeamSpeak for the active gamers, but a great new way to chat for those who don’t wish to use a third party program. As Blizzard is learning from WoW when it comes to server infrastructure where they are battling hackers and exploiters, the new Battle.net will be built on programming that prevent any form of hacking or cheating. Taking several lessons from WoW in that regard, “duping” in Diablo III will be come impossible. Chris Sigaty promised me that they will ensure security as best we can, to keep it fair for all players. The Blizzard Accounts will also encourage people to be more responsible online. We don’t have the details on what this means exactly; there will be support for eSports and those features will probably be available for custom tournaments or ladders as well. IPTV and broadcasted matches are likely features, but only StarCraft II is currently confirmed to have eSport support, with new and advanced replay mode, tournaments, leagues and spectator mode. Diablo III eSports are not unlikely, but we’ll see more when PvP combat is revealed. Either way, the eSports team would be in charge of it. Frank Pearce: One of the features we are definitely working on improving and in integrating much better is the replay-functionality which is naturally important for the e-sports-community. 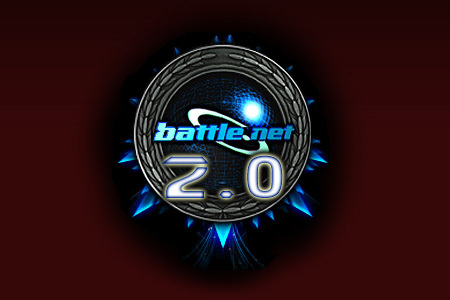 We are working at better support for tournaments and leagues on battle.net so that there is a lot more facility in that regard. We are talking about things like cameraman-functionality which we already have in World of Warcraft as well. We are also talking about potential spectator’s functionality and things like that. We have an e-sports-team internally whose responsibility is to host the events that we run and also work for parties so that e-sports-team will be responsible for e-sport with StarCraft 2 as well.